Who would have known… The Popcorn Factory offers more than just popcorn. 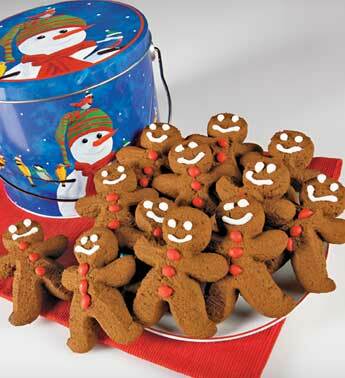 In this case, it’s a dozen Gingerbread Men in a gift tin. Neat!! People will get a tin from ‘The Popcorn Factory’, open it and find 12 new little friends. They are the ‘simple’ type of Gingerbread Man without all of the Mr. Hollywood precision detail.